We had to plan and carry out an investigation on what we think hamsters might choose to eat. Bailey's hamster Radar came to visit us for the day so we were able to do our investigation and get to meet Radar too. 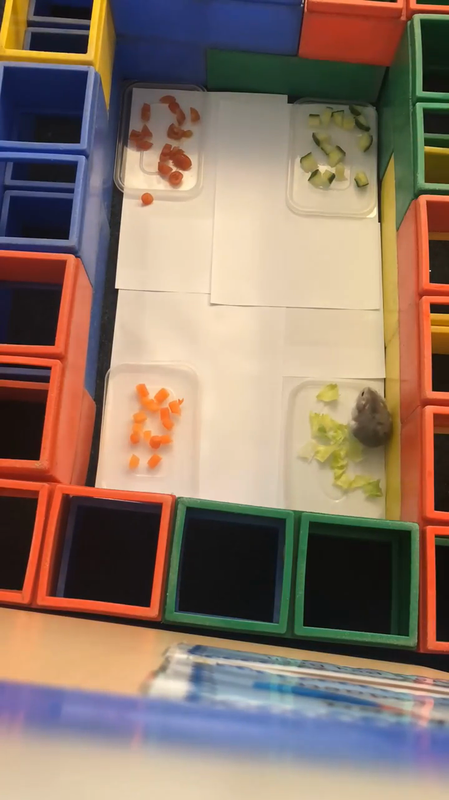 Time lapse of our hamster investigation.